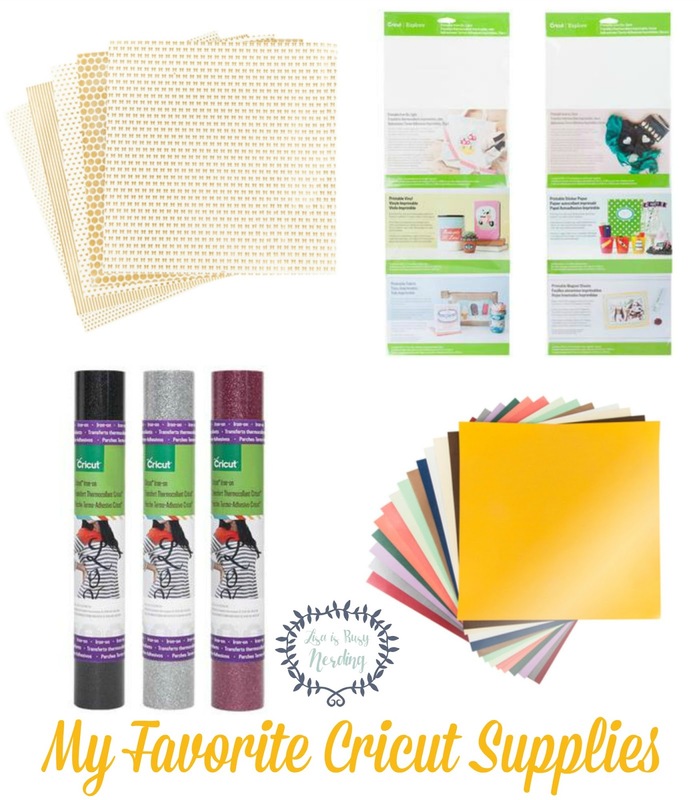 Lisa is Busy Nerding: My Favorite Cricut Supplies! If you're a crafter, a Pinterest lover, or at this point just a breathing human, you've heard of Washi Tape. Say hello to Washi Tape's cool older sister - Washi Sheets. The entire 12x12 page is the same material as Washi Tape so you get that same versatility and creative flair! MAGIC. 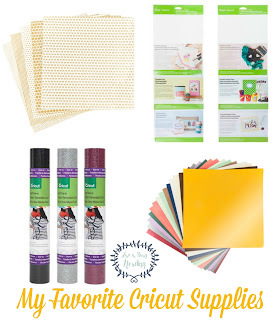 Right now I'm obsessed with the Cricut Gold Foil Classic Washi Sheets because I love the little glitz they give a project and basically go with everything. Though my favorite color to pair with the Gold Foil Washi Sheets right now is plum. I can't stop, won't stop. I'm a big planner fan, so I make a lot of my own stickers using the Printable Sticker Paper (which is INSANELY EASY), but all of the printables are amazing. The sky is the limit when thinking of what you can make with this stuff. My niece was visiting a few weeks ago, and she made stickers for the bottom of Hershey Kisses for a bridal shower. It took like 30 minutes from start to finish. You can print magnets. PRINT. MAGNETS. (Hellooooo Mother's Day!) Love me some printables. Maybe I have a thing for glitz (ok fine, I do), but this Iron-On Glitter + Canvas Totes are a match made in HEAVEN. I am all about making individualized totes as gifts lately. I also designed my daughter's "Big Sister" shirt using a little Iron-On Glitter and after countless washes (she was a big sister 6 months ago) - the little cheap shirt I bought is starting to come unraveled but the Iron-On Glitter (and plain iron on, for that matter) are still going at a full 100%! Right fine okay so I do have a thing for all things that shimmer, but I won't apologize for that! This Pearl Paper is my go-to for cardmaking lately, too. I used the red for my Valentine's Day Thank You Cards, the pinks and blues for balloons on birthday cards, and embossing the white/ivory colors for a little dimension and pop on a classic card adds a unique touch! So those are my favorite Cricut Supplies I've been using lately. I pretty much use at least one of those on all my projects and see no end in sight! Am I missing something? DO SHARE!